Over 99.9% of everyone’s DNA sequence is the same, but that still leaves millions of bits of code that are unique to you. Osama Bin Laden has been proclaimed dead from a gunshot wound to the head. But in today’s photoshopping era, the world demands more proof–a DNA test to identify the body is actually him. Back in late 2001, when the allied offensive against Al Qaeda in Afghanistan was still in its early days and attention was concentrated on the Tora Bora region where Bin Laden and his associates were reported to be hiding, the U.S. and other forces dropped tons of high explosives into the area–including the BLU-82 Daisy Cutter bomb (a high-explosives giant that’s also known as “the poor man’s nuclear bomb”). When ground forces penetrated into the zones after the air assaults, they found plenty of bodies…but faced a difficult task: How to tell if one of them was Osama? Soldiers collected and tagged body fragments, then sent them off to be analyzed back in the U.S. The FBI’s labs compared the evidence to DNA samples acquired as “swabs” from Bin Laden’s family members. Today, something very similar is going on to prove the body dumped at sea really was Bin Laden. 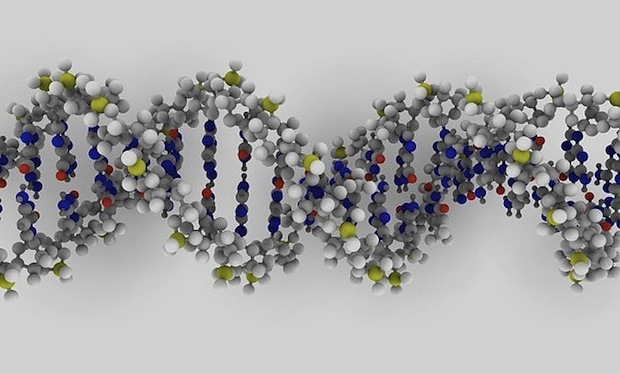 DNA matching (also known as genetic fingerprinting) is different to full DNA sequencing–a long drawn out process that takes time, technology, and money to work out the absolute list of hundreds of millions of nucleotides, the famous G, T, C, A pattern that make up your genetic identity. Over 99.9% of everyone’s DNA sequence is the same, but that still leaves millions of bits of code that are unique to you. You share some of this unique code with your parents and siblings (and actually all of it if you’re an identical twin), but most of it is yours and yours alone–and this is where DNA matching works. It involves breaking your DNA down in a number of different ways and looking for a short list of what’s called loci–tell-tale markers that reveal where specific genes are located. The list from a test sample (from, say, a crime scene) is compared against the list from a reference sample obtained from your person–if the lists match, there’s an incredibly high statistical probability that the two DNA samples come from the same person. In Osama’s case, the DNA tests don’t necessarily involve a reference sample from the man himself (presumably because it’s hard to find), but reportedly from his sister who died in Boston recently. Tissue from her body was used to create an extensive reference DNA fingerprint. Because your parents give you some of their DNA, they also give your siblings some of the same genetic code–which is why sibling DNA tests work. They sometimes concentrate on ares of the genome called “junk DNA” which serves no biological function but still gets passed along to offspring. By testing for repeat strands of DNA code in these areas, it’s possible to work out if two individuals are related as siblings. Typical lab-based DNA matching tests like this can take up to 14 days; they’re painstaking and need to be repeated several times to ensure the sample’s not contaminated from any other DNA sources. But that’s not necessarily the only way to do these tests: Late in 2010, a University of Arizona team presented research on a machine that can do the analysis in just two hours in a largely automated way. It’s possible that knowing they were engaged on a mission to capture Bin Laden, U.S. Forces arranged for access to a machine like this to be on quick alert–probably for flying blood, cheek cells, and other samples taken from the body to the lab for expedited analysis. But here’s the thing: DNA matching isn’t an exact science, and sibling matching is slightly more inexact. It all comes down to a probability, with a statement like “there’s a one in one quadrillion chance this isn’t the same person in both DNA samples.” In other words: conspiracy theorists still have something to talk about.